The Discovery Sport Industry Awards 2016 took place at the Sandton Convention Centre on the 11th of February. Click here to see all the of the night's winners. The Awards aim to celebrate the best work off the field in the business of sport and showcase everything that is great about the South African sport industry. 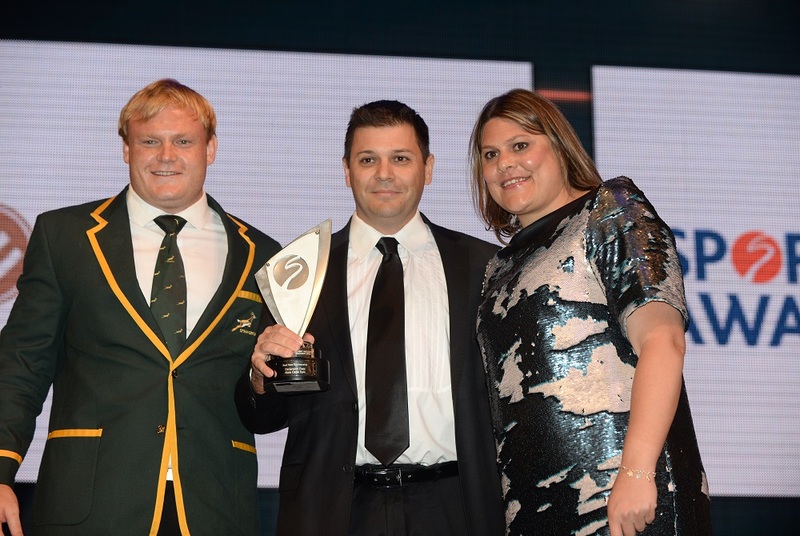 The annual celebration of success that is the sport industry’s flagship event took place at the Sandton Convention Centre for the third consecutive year in 2016. A star-studded audience of more than 1,200 key figures and celebrities from sport and beyond including Hashim Amla, Adriaan Strauss, Penny Heyns, Melinda Bam, Lucas Radebe, Trevor Nyakane and Kagiso Rabada amongst many others, saw the likes of Comrades Marathon, Absa, Dimension Data, CONNECT Khayelitsha Sports Academy, Vodacom and Nedbank take home awards in 2016. The judging process for the Sport Industry Awards is famously one of the most transparent and stringent procedures of its kind, with every step of the judging process overseen by Deloitte, the Awards' independent adjudicators, who take full audited notes of all judges' comments and thoughts, ensuring total transparency and enabling an unsurpassed level of feedback to entrants. The Official Awards Judging Panel, a group of experts from all areas of the sporting world boasting unparalleled experience, will once again select the Sport Industry Award winners.